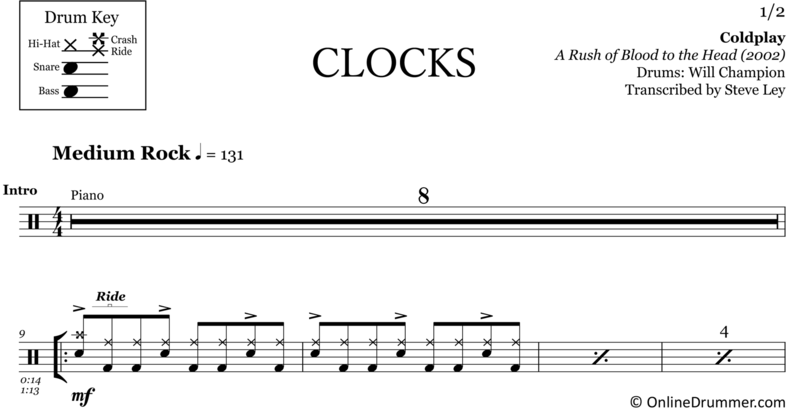 The full drum sheet music for “Clocks” by Coldplay from the album A Rush of Blood to the Head (2002). Will Champion plays the drum part called for in this Coldplay hit. A simple, laid-back pattern is featured throughout with some variations. For the coda, Champion uses creatively-placed crash cymbals. 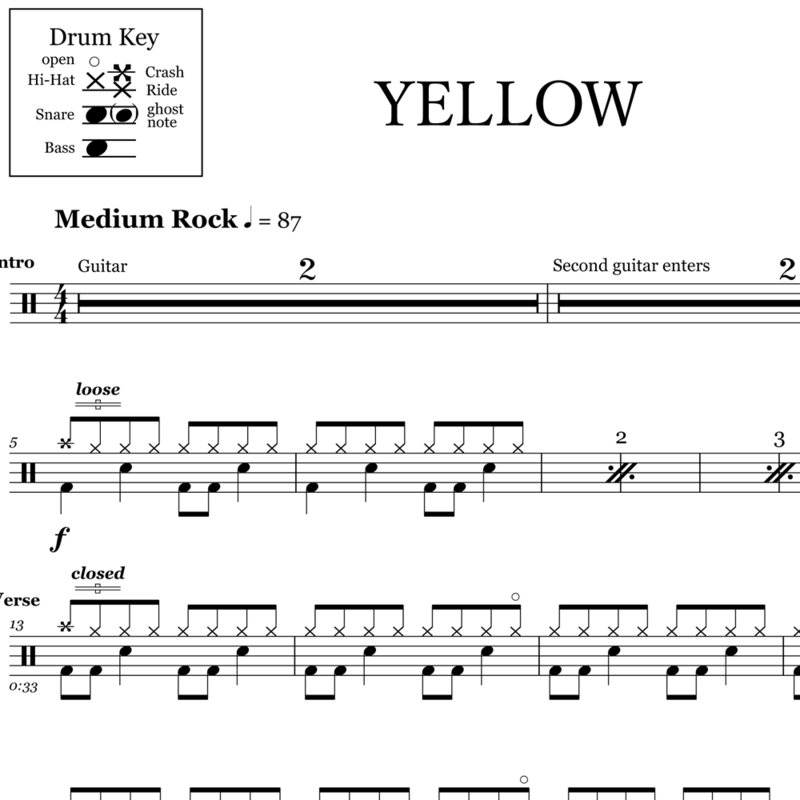 This is a great song for beginner drummers.